Plot: A young basketball player struggles to fit in with his new team. Tagline – Every dream has a price. Story: Amateur starts as Terron Forte (Rainey Jr) an internet sensation basketball player that is destine to become an NBA star, the problem is he struggles in school to focus on numbers dyscalculia and is part of losing team, his dad Vince (White) brings in well-respected high school coach Gaines (Charles) to give him a chance only that he will need to move away from home. Moving to the new school and home he must learn to be around high school age students and learn the game at the next level, but this is going to come at a cost, his education gets put on the back burner and the darker side of the sport is shown to the sport. Characters – Terron is a basketball prodigy that has been struggle with dyscalculia being unable to read numbers, he has always continued to keep his education up with the help of his mother and being the best player in his area he has turned heads. He gets signed to a high school team which improves him game but gives out false education promises. He must learn to play the game with his learning difficulties and being just a part of everyone else’s success. Coach Gaines has offered everything Terron would want for a future in the NBA even if he has been taking advantage of the players by bending the rules of the game to create the stars of tomorrow. Vince is Terron’s father that once had a chance of a sporting career and is trying everything to help his son even with his constant pain from his injuries. 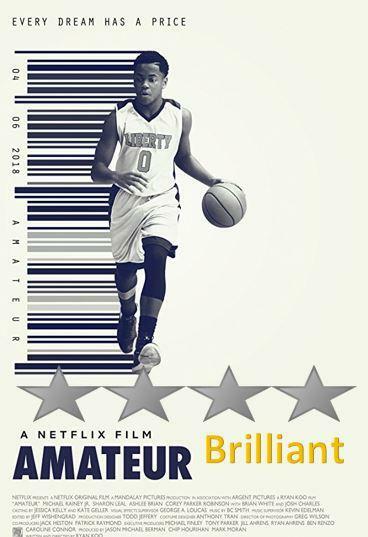 Performances – Michael Rainey Jr is the lead of this movie, he is brilliant in this role, handling the basketball side of things and the learning difficulties his character has been facing are shown well throughout. Josh Charles is good as the coach that will do anything to anything for his reputation of finding young players, while Brian White is good too. Story – The story here shows of a sporting prodigy can use social media to hype his reputation while stepping up levels others wouldn’t normally get. It shows how the sporting system needs to be balanced with education and breaking the rules could leave the potential ruined. We get to see the darker side of high school basketball and how far people will go to bring through the best players, the film does also display living with dyscalculia and how you can overcome the problem even if it takes time to reach the solution. 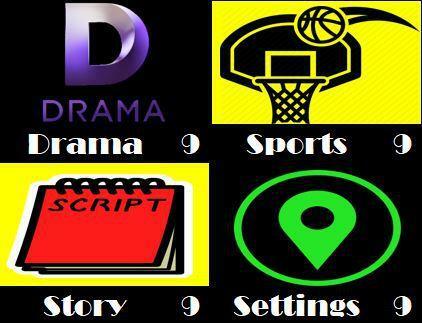 Sports – The basketball scenes look great, its not a sport I know too much about, but how the young player can excel against senior players. Settings – The film keeps everything around the school system showing how Terron must learn to become part of the team away from home and how he needs to be outside his comfort zone. Scene of the Movie – Learning the plays. That Moment That Annoyed Me – We don’t learn enough about the education levels Terron was scoring before the move. Final Thoughts –This is a wonderful sports drama that does show the best and worst parts of the high school basketball. Overall: Must watch for sports fans.